The Queen cosies up to Willow, Vulcan, Candy and Holly in the grounds of Windsor Castle on the cover of Vanity Fair's summer issue. 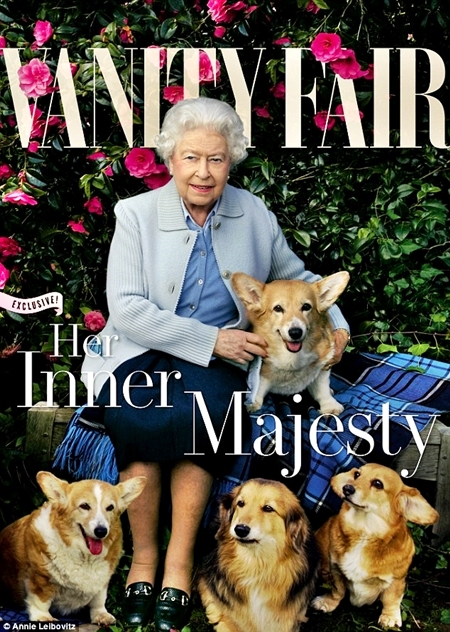 Her Royal Majesty, Queen Elizabeth, has landed a starring role in the latest edition of Vanity Fair magazine by appearing as its cover girl for the second time on the front of the magazine's summer edition. The cover of the new edition of the magazine which hits UK newsstands on Friday, sees the queen in a colourful image shot by acclaimed fashion photographer Annie Leibovitz. Oyo State made a rare appearance on the trending table of Twitter today, 31st of May, 2016 as sacked workers reportedly numbering up to 16,000 took to the micro blogging site to air their pains to the outside world after they unjustly lost their jobs. It should be noted that the state government is currently owing the workers salaries for not less than 4 months. Viral reports have it that the massive sack is not far from Bank Verification Number issues which affected majorly those banking with Skye Bank as gathered from the tweets. 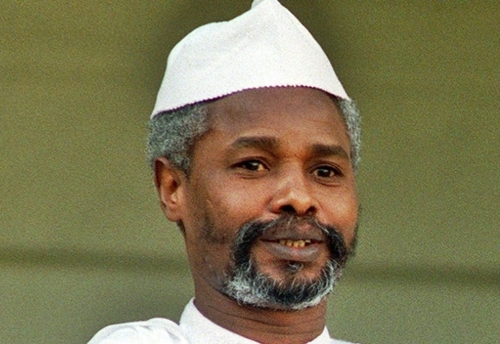 They are calling on stakeholders and human rights activist to stand up to their aid. Within minutes, the hashtag #OyoStateIsStinking_ made it to the trending table during which the people voiced their grievances. 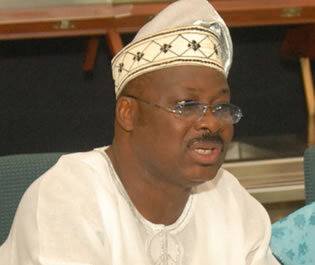 There was no official statement from the governor, Abiola Ajimobi at the time of filing this report. 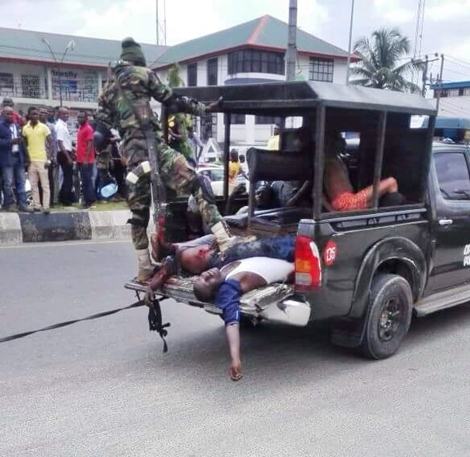 According to photos making rounds online and social media, there was a failed armed robbery attempt today, Tuesday, May 31 on stadium road, Port Harcourt, the Rivers state capital. 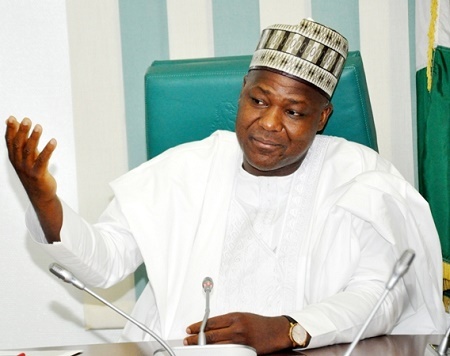 The House of Representatives has considered and passed an amendment to the Code of Conduct Bureau and Tribunal Act, Channels TV reports. The new amendment mandates the bureau to ensure that any one deemed to have breached the provision of the act is given the chance to explain before such a case is referred to the tribunal. According to a Twitter user who shared the photo on social media, a woman has fallen victim to Stevens-Johnson syndrome (SJS) in Katsina State, after taking Septrin Sulphamethoxazole tablet as the adverse drug reaction turned her to black. 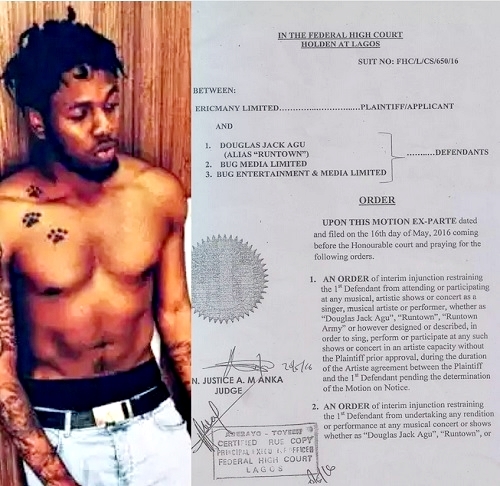 A Federal High Court sitting in Lagos has directed popular Nigerian musician, Douglas Jack-Agu a.k.a Runtown from performing at any event or any form of recording for the time being unless with the approval of his record label, Ericmany Limited who presently holds the copyright to all his music. 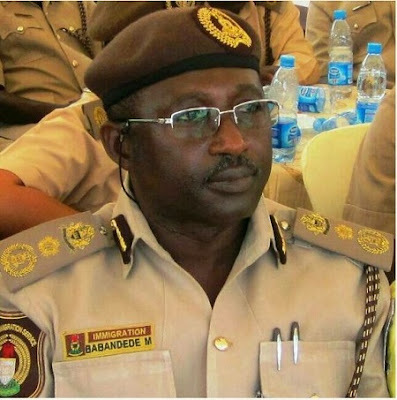 Newly-appointed Comptroller General of the Nigeria Immigration Service, Muhammad Babandede has ordered the arrest of all former political office holders who are still in possession of their diplomatic passports. 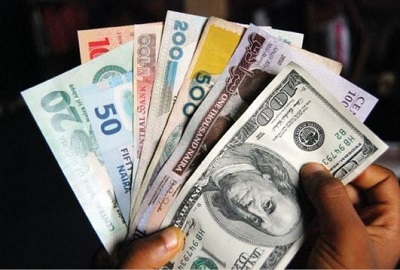 According to Vanguard, the CG gave the order during his maiden parley with top management staff of the Service in Abuja. 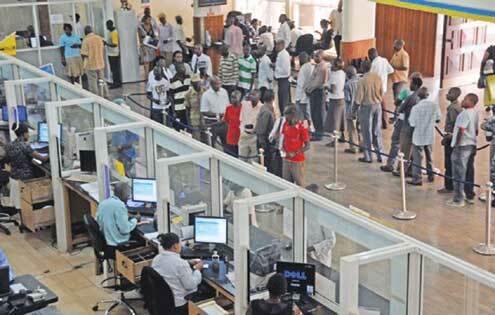 According to The Nation, earlier today, some customers who went to a popular new generation bank in Calabar got more than they bargained for when a fight broke out between a soldier and some four mobile policemen inside the bank. 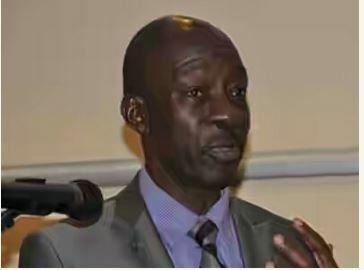 The office of the Secretary to the Government of the Federation (SGF) has directed the Auditor-General, Mr. Samuel Ukura, to proceed on retirement, according to the Nation. 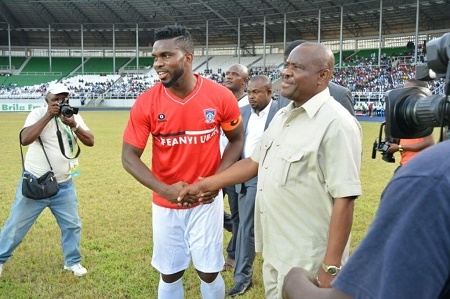 The Governor of Rivers State, Nyesom Ezenwo Wike has appointed Former Super Eagles Captain, Joseph Yobo as Senior Special Assistant on Sports Development to the Governor. 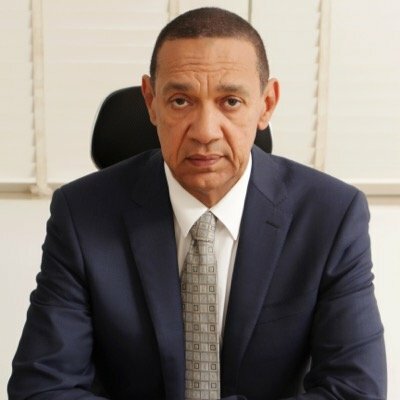 It was widely reported earlier today that popular senator from Bayelsa State, Ben Murray-Bruce, on Monday, said operatives of the State Security Service prevented him from greeting President Muhammadu Buhari at a state dinner organised to mark 2016 Democracy Day. 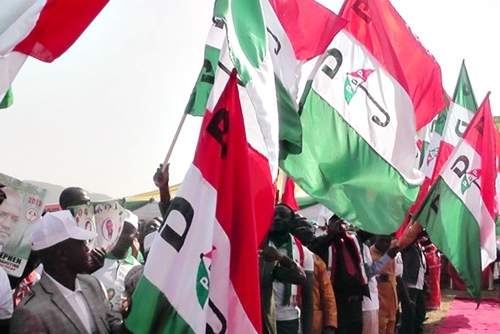 In a statement issued on Tuesday, the outgoing chairman of the Peoples Democratic Party (PDP) in Adamawa state, Joel Madaki, has acknowledged that he received N450 million for the campaign of the party in Adamawa. 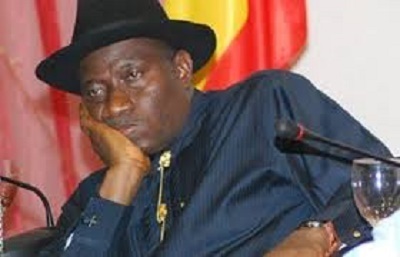 We reported it here early last week that the Nigerian Police sealed off the Wadata Plaza national secretariat of the Peoples Democratic Party (PDP) in Abuja following the party’s parallel national convention that saw the party divided as their conventions produced three sets of leaders. 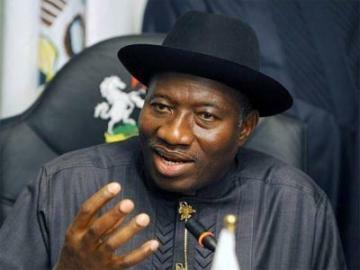 According to new reports reaching us this morning, the National Secretariat of the Peoples Democratic Party (PDP) has been opened to members of staff of the party only. Meanwhile, the BoT Secretary, Ojo Maduekwe will be addressing members of staff today inside the NEC Hall according to an advisory issued by the party. 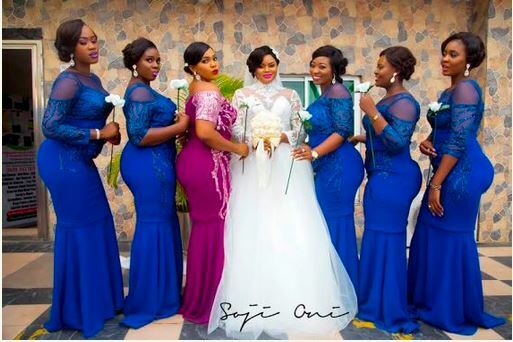 Check out the chubby and curvy bridesmaids on the bridal train of Oyindamola, the creative director of Lemiral Couture, at her wedding late last year, 2015. 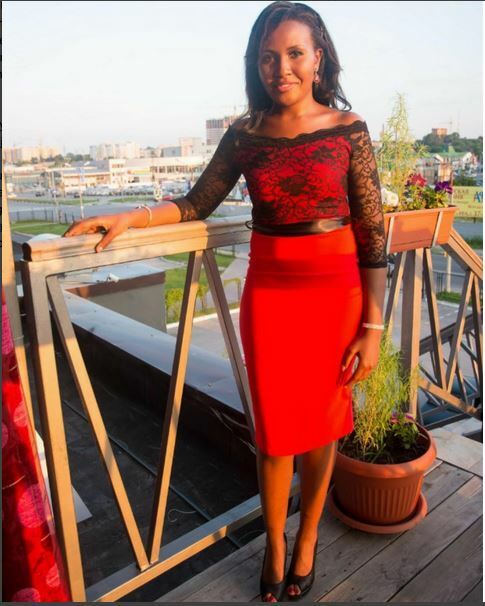 Yesterday there was mixed reactions on social media when Beat FM's OAP, Osi Suave, revealed how he had to console one of his friends who was not allowed to be part of her friend's bridal train because of her weight. Some reactions to the disclosure suggests that the discrimination is becoming a steady trend nowaday, as most brides nowadays seem to prefer using slim ladies for their bridal train which according to them achieves the best pictures. 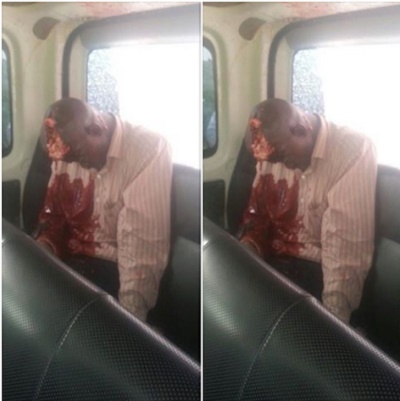 This is the graphic photo of a policeman who was accidentally killed by soldiers at a checkpoint along Bauchi to Jos road on Saturday. According to a press statement from the army, the error was a result of the refusal of the driver of the bus to stop at the checkpoint for routine checks of occupants. 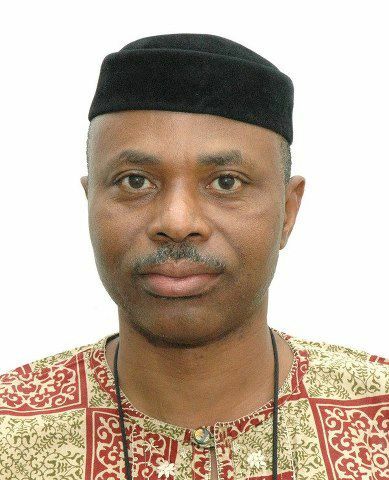 Government workers in Ondo State will as from tomorrow begin an indefinite strike over non-payment of five months salaries. According to a source from the labour union, workers are expected to stay away from work until the oustanding arrears are paid. All government hospitals in the state will equally be shut down. But reacting to the report, an aide to the Governor who does not want his name in print told DAILY POST that the workers are still in a meeting with the government, and it will be too early to conclude that they will embark on an indefinite strike tomorrow. He advised the reporter to wait till the outcome of the meeting. 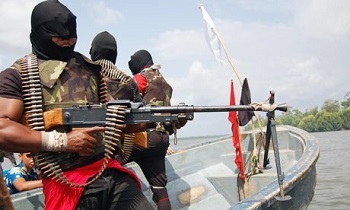 The Niger Delta Avengers have reacted to claims made by the military that it arrested 10 members of the dreaded militant group. It called the claims by the Nigerian Army as another lie meant to deceive the public. The information was made public in a number of tweets posted on twitter. 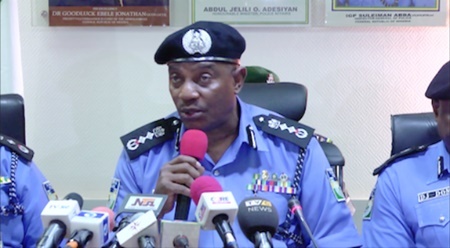 Following the killing some police officers in Asaba, Delta state, by a mob of Biafra campaigners on Monday, the inspector-general of police (IGP), Solomon Arase, has ordered the immediate disarmament of members of the Indigenous People of Biafra (IPOB). 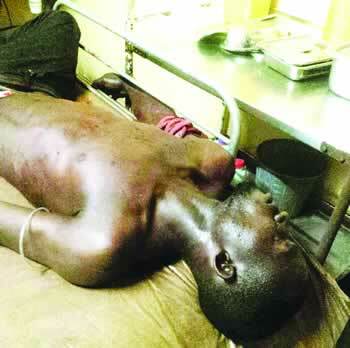 An 18-year old boy was captured stealing a laptop in a shop in the Ikorodu area of Lagos State. He was allegedly spotted the shop owner during which he immediately bolted. He scaled bout three fences while the business owner raised a loud alarm that alerted residents at 4:00pm yesterday during which he was nabbed and beaten mercilessly. An eye witness claimed the teenage burglar had issues standing upright without assistance after being manhandled. 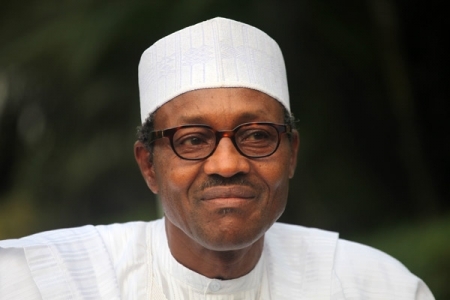 In a statement issued by Chijioke Amu-Nnadi, the Head of Corporate Affairs unit of the Niger Delta Development Commission (NDDC), in Port Harcourt, Rivers State on Monday, President Muhammadu Buhari will visit the oil rich region to launch the Ogoni land clean-up on June 2. According to the statement, the Minister of the Environment, Amina Mohammed, confirmed the date when she visited Bodo in Gokana Local Government Area of the state to inspect an oil spill clean-up demonstration. 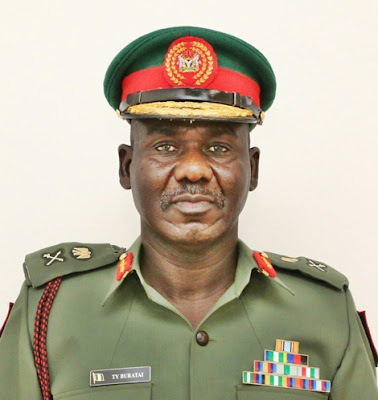 In a statement made available to Premium Times in Enugu by the Deputy Director, Army Public Relations, the Nigerian Army said its troops, alongside other security agencies, acted in self-defence as well as in defence of lives and property of peace-loving Nigerians when it shot dead at least five members of the Movement for the Actualisation of Sovereign State of Biafra (MASSOB) and Indigenous People of Biafra (IPOB) on Monday. 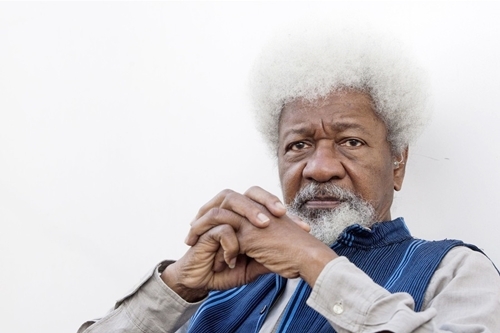 Speaking in Johannesburg, South Africa, Nobel laureate, Prof. Wole Soyinka has said it would take time for President Muhammadu Buhari to heal the injuries inflicted on Nigeria by former president, Goodluck Jonathan, adding that the immediate past government left a 'heavy baggage' and 'burden' that may take a while to tackle. A little boy who is just one year old has shockingly attained puberty and already has the s*xual urges of a fully grown man. 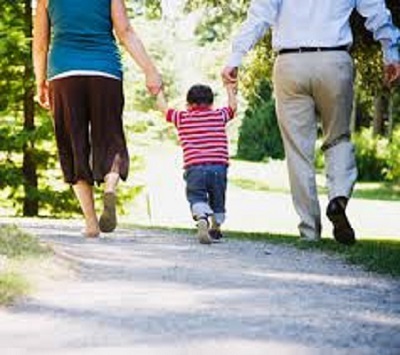 The one year-old boy in Delhi is suffering from a rare condition called precocious or early puberty. He reportedly has fully grown s*xual organs and desires like that of a 25-year-old man. 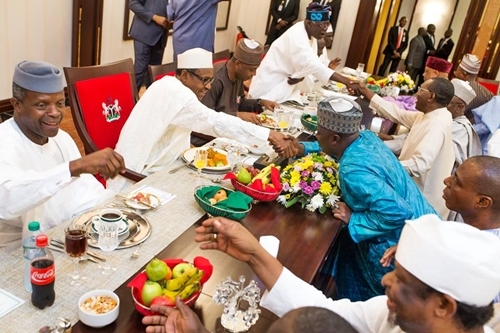 A senator from Bayelsa State, Ben Murray-Bruce, on Monday said operatives of the State Security Service prevented him from “greeting” President Muhammadu Buhari at a state dinner organised to mark 2016 Democracy Day, according to Premium Times. 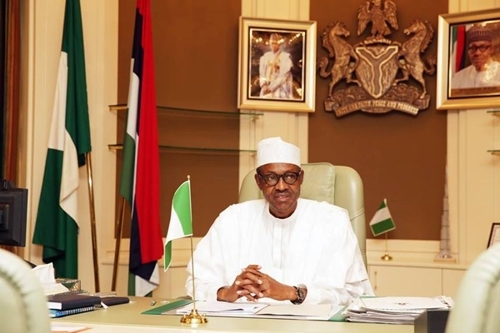 President Muhammadu Buhari says his party didn't know what they were getting into before making so much promises to Nigerians, and as such made life difficult for themselves with the high expectations from Nigerians because of the long list of promises made. Spokesman of the group, popularly known as General Ben, revealed this yesterday in the social media. He also claimed the group executed the attack in Nkpor where three persons were killed and the burning of a police patrol van in Onitsha. 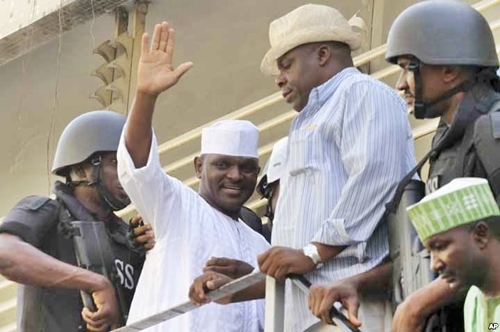 Speaking at a press conference in Lagos on Monday, Hamza Al-Mustapha, the chief security officer to Sani Abacha, the late military dictator, says he would soon give the details of what killed Abacha and MKO Abiola, self-acclaimed winner of the June 12, 1993 election. 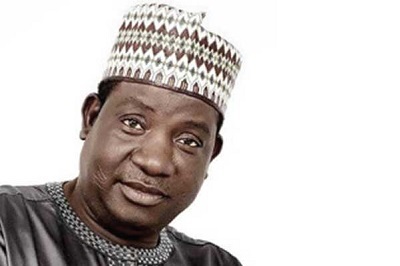 A staff verification exercise in Plateau State has traced 1,832 ghost teachers to a single individual who is not even a teacher, while many more beneficiaries of the syndrome abandoned their salaries in bank accounts, the state governor has said. 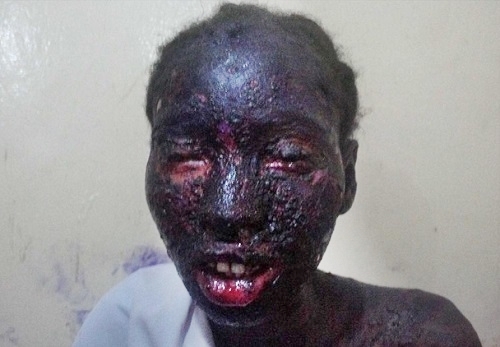 A young medical practioner, Dr June Leech from Nairobi, Kenya is currently seeking a man in her life. She has written to Joro Olumofin with a shared picture to make a bold statement. Multiple award-winning Nollywood actress, Susan Peters who has featured in over 50 movies, is celebrating her birthday today and shared some of her new photos where she appeared flawless. The photo-shoot of the successful model, interior designer and beauty salon owner, was styled by Susan’s fashion outlet Suez Place with photos shot by Moussa Moussa. We are totally crushing on the yellow dress! 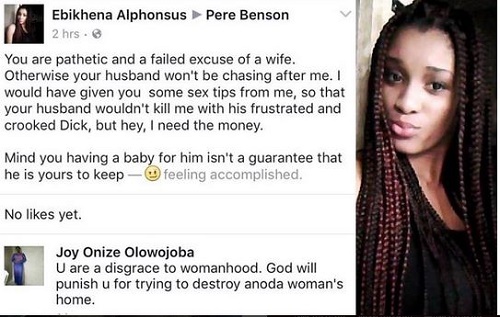 In this shocking rant that turned out to be a public disgrace, a Benin side-chic has made a mockery of herself by going on Facebook to fight the wife of the man she is having s*x with. A frustrated sidechic who is in the game for money has left herself totally disgraced after she took the war between her and a man's wife she is having an affair with to Facebook. The sidechic who went to the wall of the man she is dating exposed her waywardness by ranting and disgracing herself. 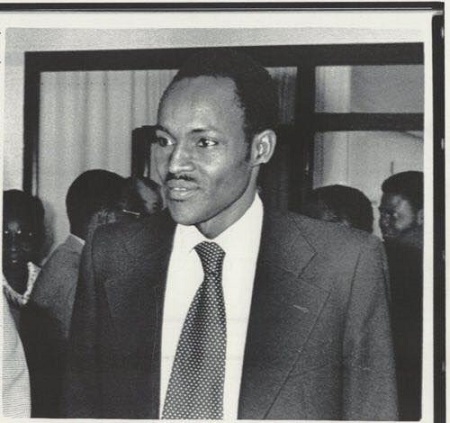 Zuma Times Hausa has exclusively reported that the above young man named Haliru who joined a secret cult, was asked to bring his mother for sacrifice, and the evil son beheaded his mother named Zandi in the North-eastern Nigeria. 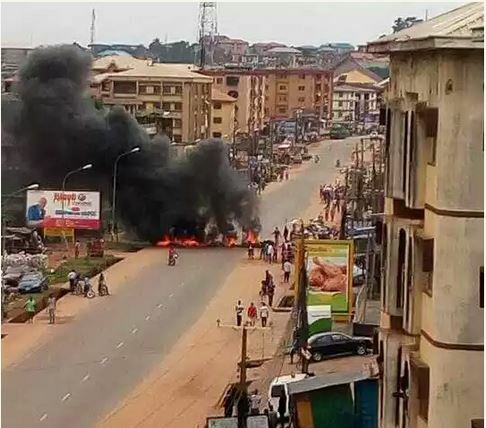 We reported it here earlier today that the Nigerian military allegedly shot and killed unarmed pro-Biafra agitators who embarked on street protests today in the Southeast and some parts of Anambra state, especially Onitsha to commemorate its 50th year anniversary. 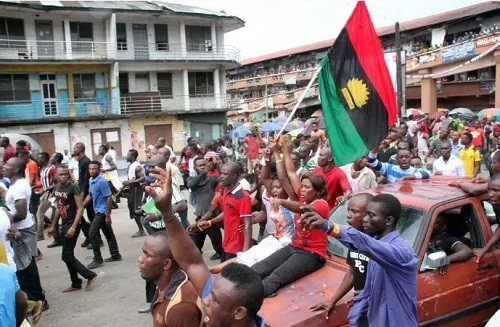 According to reports, fight broke out between some policemen and some people suspected to be members of the Movement for the Sovereign State of Biafra (MASSOB), when they were marching to demand independence for a proposed separatist Biafra. 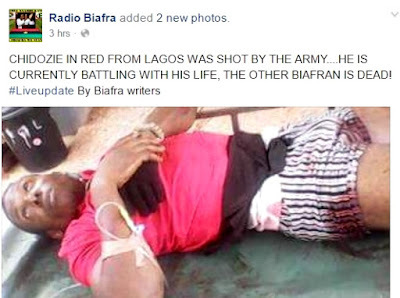 According to a report on TheCable, some suspected members of the Movement for the Sovereign State of Biafra (MASSOB) have thrown two policemen into River Niger, and stabbed another officer to death. A police officer, who pleaded anonymity, told NAN that the protesters attacked some officers at the bridge, overpowered two of them, before throwing them into the river. 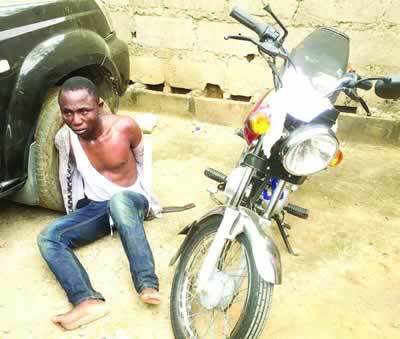 A suspected thief who sneaked into the Foursquare Gospel Church, in the Magboro area of Ogun State and stole a motorcycle belonging to one of the worshippers, has been caught after he stunned the congregation at the service on Sunday. 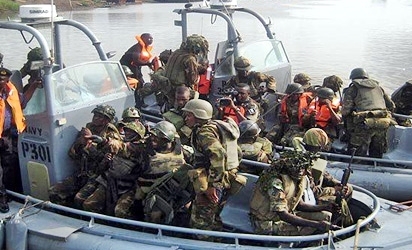 According to a report on Vanguard, Nigerian military troops this morning at about 4.30am, invaded on Kurutie (aka Little London), another community in Gbaramatu kingdom, Warri South-West Local Government Area, Delta State, ‎in six gunboats hunting for members of the Niger Delta Avengers. 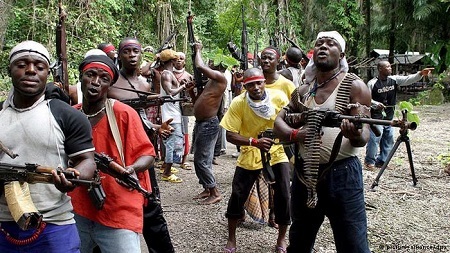 Several gunmen invaded Ozochi community in Ahoada East Local Government of Rivers State over the weekend and killed eight persons, including the oldest man in the village. Many houses, shops and other properties were destroyed by the gunmen. 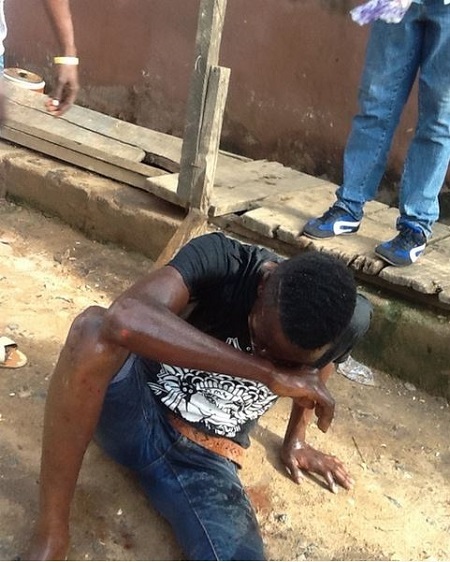 The Lagos State Police Command has arrested a 27-year-old bricklayer identified as Demola Wasiu who is an apprentice in a mechanic workshop on Ajele Street, Lagos Island, for allegedly killing his friend, Lekan Omotosho. 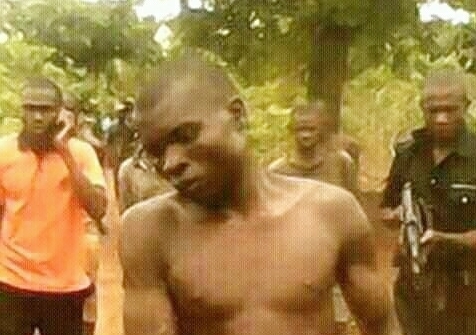 According to Punch Metro, Wasiu who is an indigene of Ede, Osun State, stabbed the victim in the armpit after he refused to charge his phone for him, adding that the victim lost a lot of blood before he was rushed to the Lagos Island General Hospital, where he died on Friday. 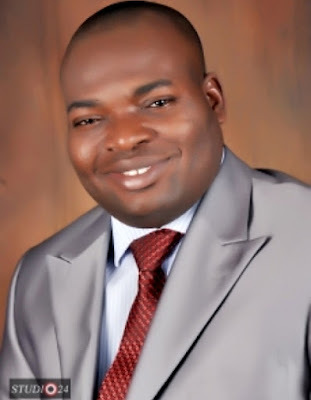 The Economic and Financial Crimes Commission has recovered N900m from Mr. Waripamowei Dudafa, a former Special Assistant on Domestic Affairs to ex-President Goodluck Jonathan. According to Punch, the money was found in one of Dudafa’s accounts, which was immediately frozen. 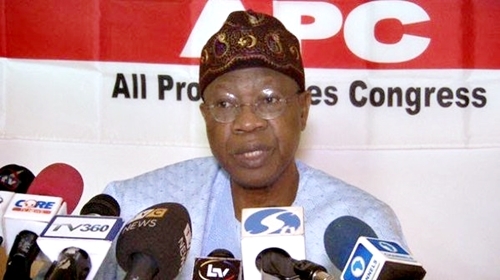 Speaking on Sunday evening, hours after President Muhammadu Buhari’s Democracy Day broadcast, the outspoken Minister of Information, Lai Mohammed, revealed that the president did not release details of looted asset, recovered from corrupt persons, due to 'legal reasons'.